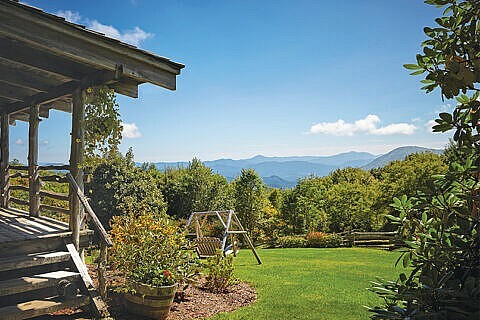 Gail’s Room is a corner room with premier Smoky Mountain views. Guests will enjoy a second floor balcony, king size bed, steam shower, sauna and a warm and cozy fireplace. On the balcony, guests are invited to use the copper soaking tub and outdoor shower (weather permitting). Room amenities include a wet bar, coffee maker, bean grinder and a small refrigerator stocked with soft drinks, trail mix and hiking bars. A famous decadent treat is beloved by guests. One taste and you’ll see why this is listed as an amenity.